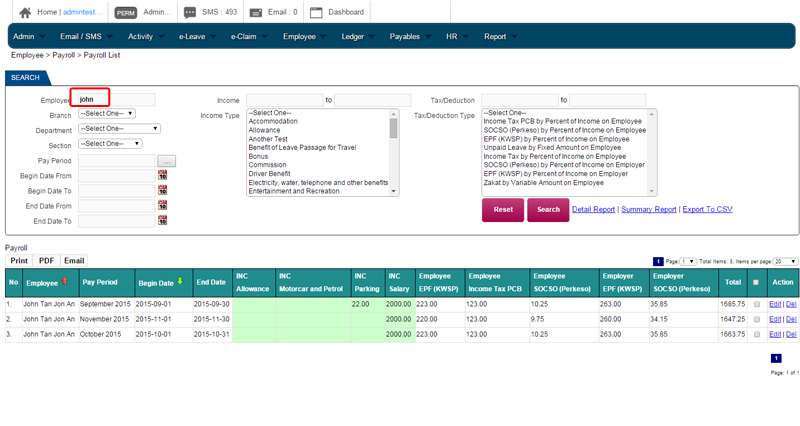 A transparent payroll administration system that enable employer to generate accurate payroll and employee to view and understand the impact of the variable pay structure in a timely manner. The system automatically calculates all taxes on the employee’s pay slips and assists the employer to comply with all statutory requirements such as EPF, Socso, Income tax and Bonuses. Define income type for every employees. 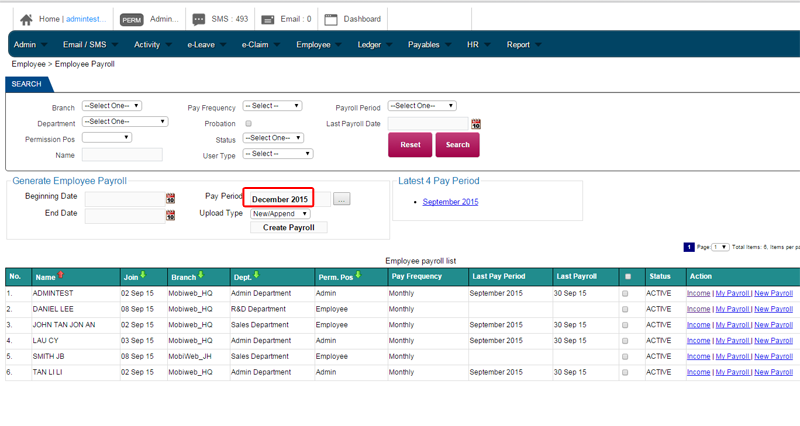 You can choose to displayed particular item on the payslip or otherwise. 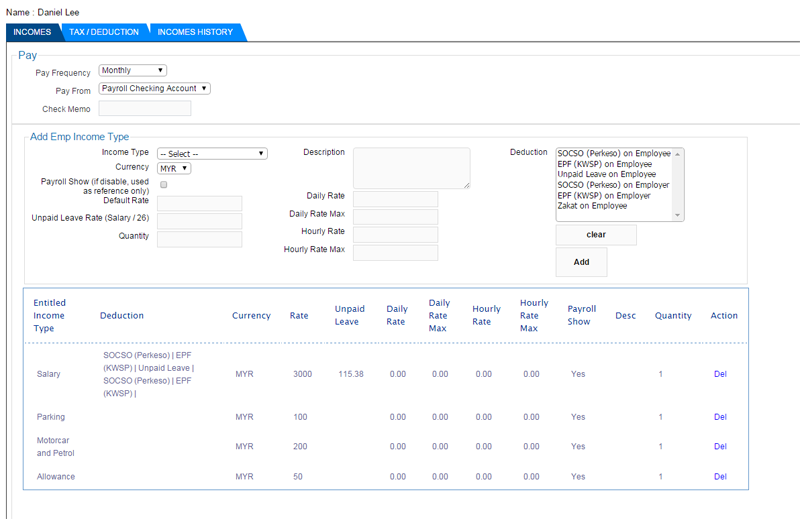 Daily wages is calculate automatically and to be deducted if any unpaid leave taken. Take advantage of the Search filters built into the system. It helps you find the payroll faster and become more productive. 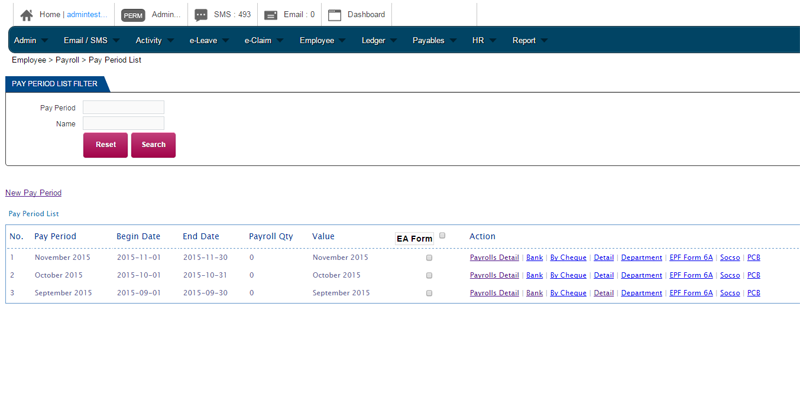 Alternatively, you can view all generated payroll on this page. Generate payroll before your company pay day. Achieve accuracy and consistency to minimize risk across all systems. BMO payroll calculations take deduction limits such as EPF, Socso, Income tax into account. Past payroll data are kept in the system. It helps HR administrators to keep track of all employees’ records and prepare for payroll auditing.